Starting from 1970, Volkswagen has been pursuing research and development works on electric propulsion and electric hybrid systems and has acquired a broad experience in this domain with field testing of production models converted to these alternative technologies. In 1973, a Transporter was equipped with 17 kW (24 hp) continuous output and 33,5 kW (45 hp) peak power electric motor on the rear axle; the prototype was developed by Volkswagen together with Bosch, Varta and the company Rheinisch-Westfälische Elektrizitätswerk AG, Germany’s largest electric utility company. 70 converted vehicles were involved in a field test. In 1976, Volkswagen researchers equipped a production Golf with an electric drive for the first time; its E-motor produced about 20 kW (25 PS) of power. The electric Golf was driven over 20,000 km until 1986, serving as a test platform for various batteries and electric motors. Its top speed was 80 km/h, and its range was 70 km. Starting from 1981, different prototypes based on Golf Serie I through Serie III were also developed and tested with different battery systems; In 1984, electric hybrid propulsion was investigated on converted Golf prototypes. The Volkswagen Chico Electric Hybrid is the first car developed by the company from a blank sheet start and specifically for this type of propulsion. Occupying the lower end of the hybrid palette this concept car was shown in 1991 at the IAA in Frankfurt/Main. 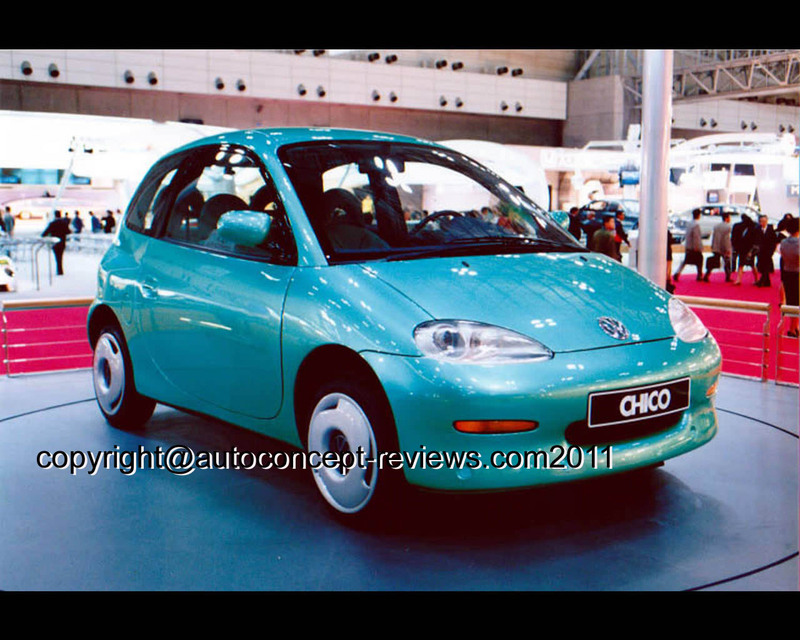 The VW Chico was an amazingly spacious subcompact, 3.20 metres in length with 2+2 seats. The two doors were opening over swivelling hinges in order to ensure easy access in tight parking space. Its two-cylinder petrol engine generated 25 kW (34 hp) from 0.6 litres displacement (636 cc. ), while the E-motor contributed 7 kW (9 hp). The power battery was Nickel Cadmium 72 Volt/30 Ah. The car’s combined fuel consumption was a low 1.4 litres fuel and 13 kWh electricity per 100 km. 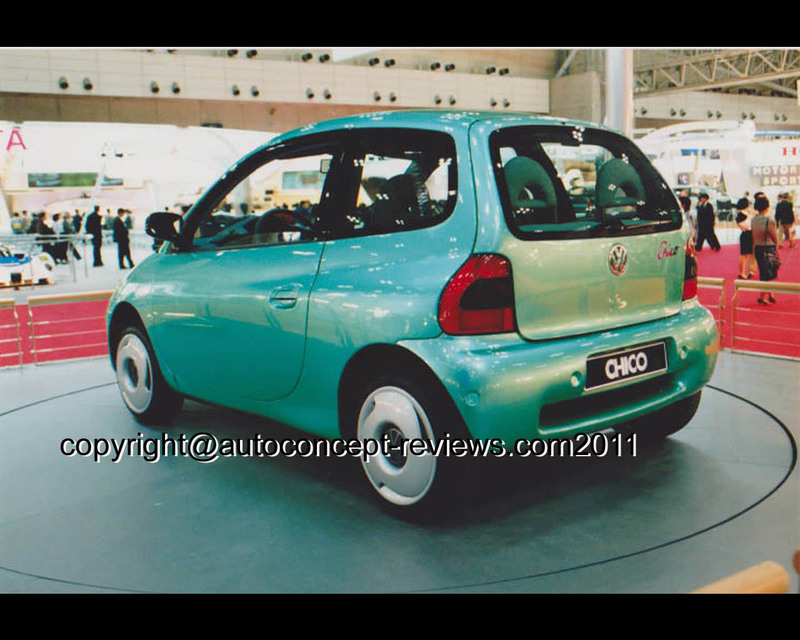 The green City Car reached a top speed of 131 km/h; standing start 0 to 80 kph required 19 seconds. Three units were built. 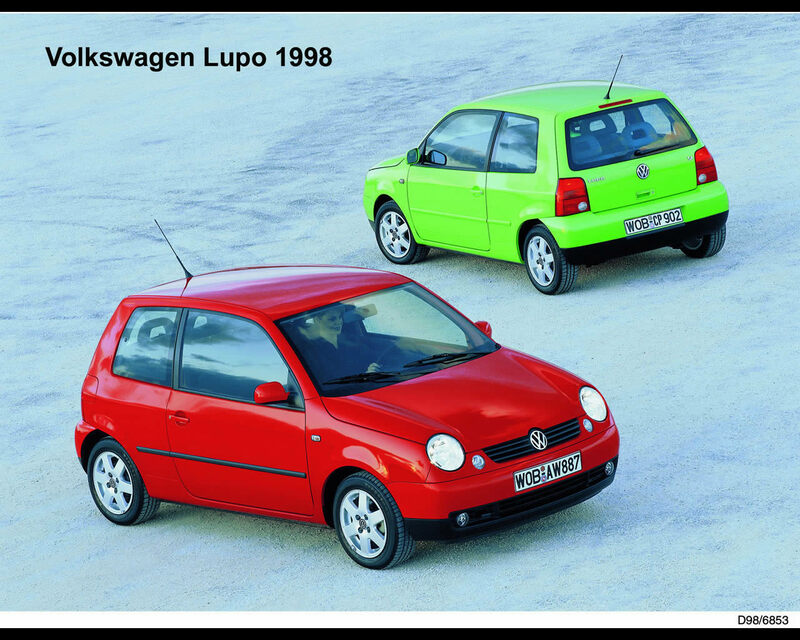 The Volkswagen Chico certainly anticipates the introduction of a small Volkswagen that will occur with the production launch in 1998 of the Volkswagen Lupo but with only gasoline and diesel engines.